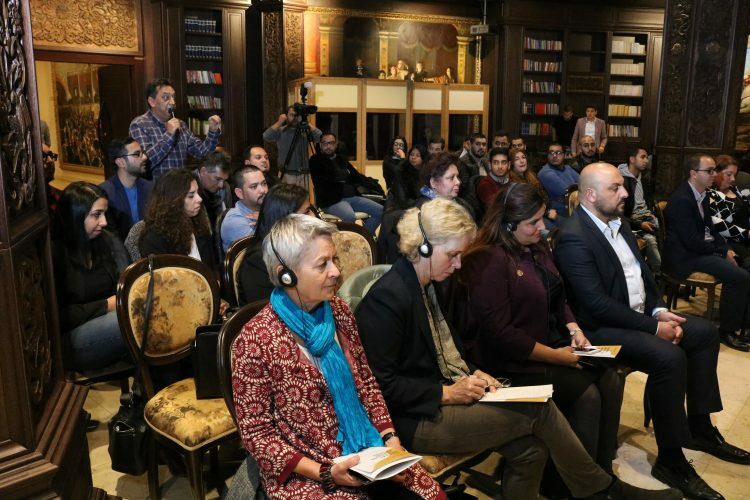 On 13 November 2018, in the Museum of Macedonian Struggle in Skopje, the European Roma Institute for Arts and Culture (ERIAC), in partnership with Romalitico – Institute for Research and Policy Analysis – organized a public event entitled “The Shutka Lessons”. This event was the first ERIAC event in Macedonia and aimed at highlighting the artistic contributions of various Roma artists, the power of arts and culture in raising the voice for social justice, and promoting strategic cooperation between various Roma and non-Roma players in Macedonia’s artistic and cultural scenes. 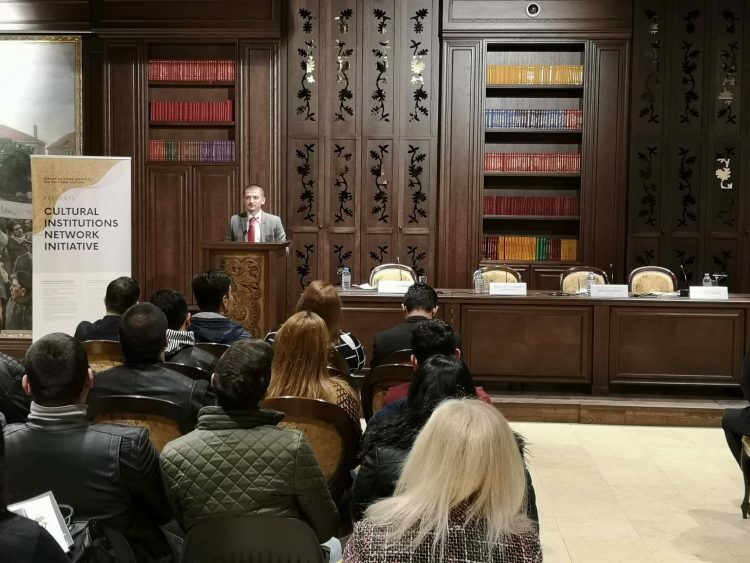 Following the welcome remarks by Ms. Timea Junghaus, executive director of ERIAC, Ms. Katrin Frühinsfeld, the Head of Culture and Education Section German Embassy Skopje, and by Mr. Kurto Dudus, the mayor of Suto Orizari, the event proceeded with a panel discussion. The panel discussion brought together Ms. Sevdija Abdulova, editor of “Bijandipe” at the national broadcaster MTV, Mr. Srdjan Amet, a Roma activist, Mr. Aksel Ahmedovski, the Minister without Portfolio responsible for the implementation of the Roma Strategy, and Mr. Elvis Memeti, a policy adviser at the Ministry for Labor and Social Policy, to reflected on the challenges and future of Roma arts and culture in Macedonia. 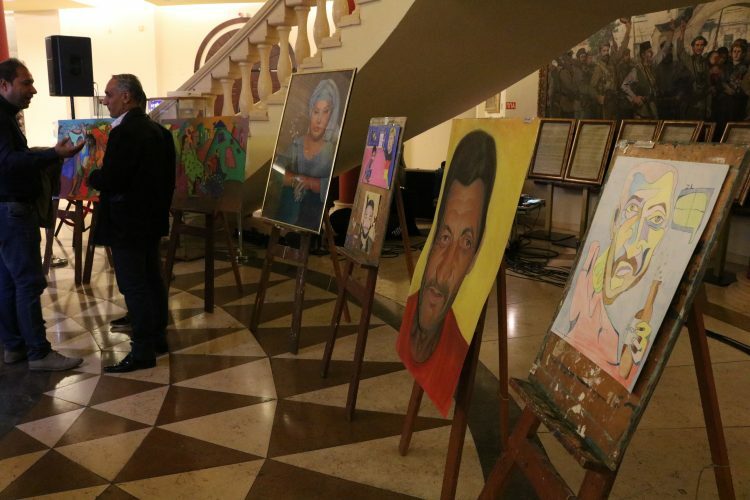 The second part of the event featured two outstanding Roma artists from Shutka. 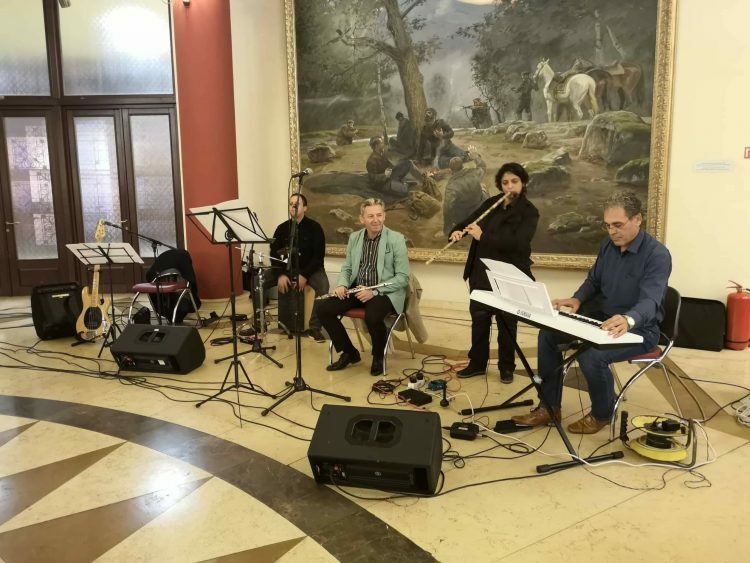 Durmis Kjazim introduced his original art compilation and Bajsa Arifovska, a musical author of ethnic music and an assistant of the orchestra “Tanec,” performed old original Roma music. The event concluded with the local Roma Theater unique live performance: “Roma Refreshment”. 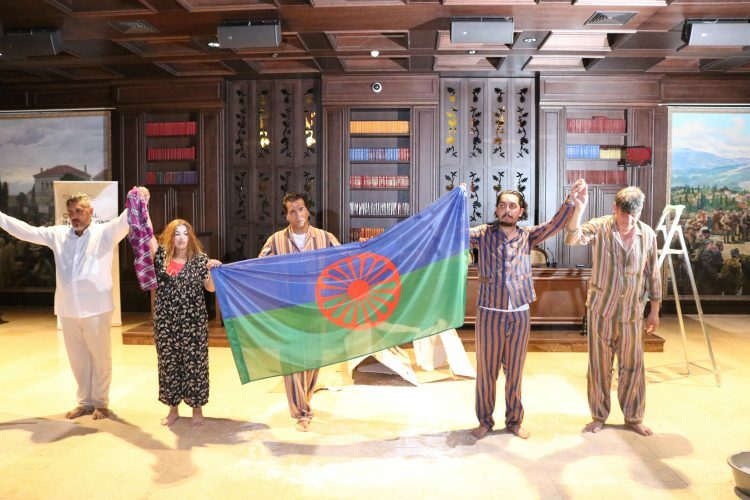 The play’s plot of is based on the history of the Roma genocide in the WWII. 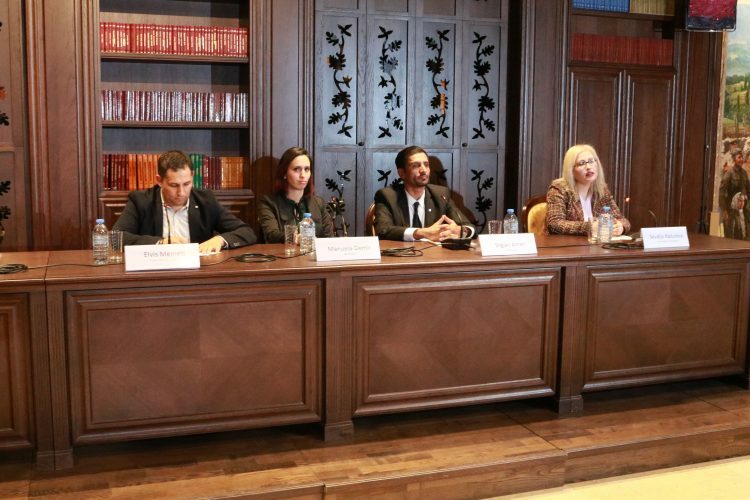 The program is part of European Roma Institute for Arts and Culture (ERIAC) Cultural Institutions Network Initiative. 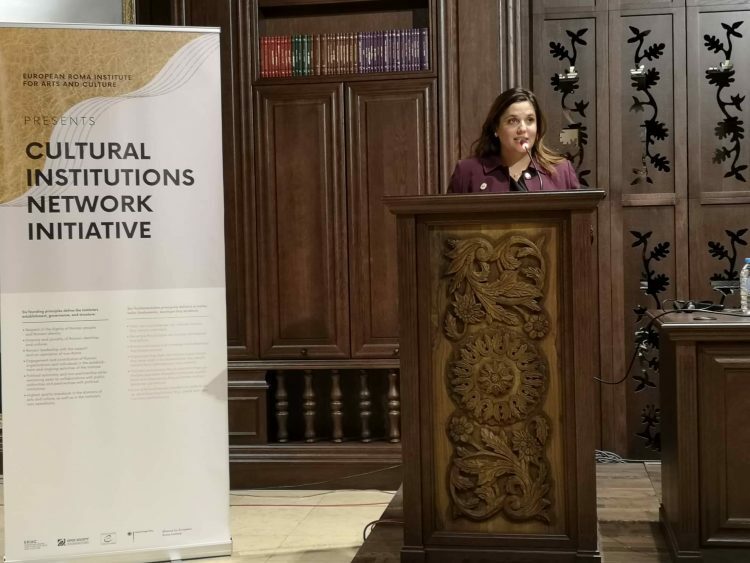 The ERIAC Cultural Institutions Network Initiative is supported by the German Federal Foreign Office.